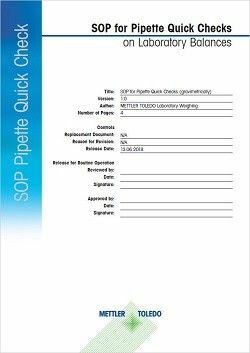 Download the new Standard Operating Procedure (SOP) for gravimetrical pipette quick checks and get step-by-step guidance on how to do pipette tests on your lab balance. Greifensee, 9th July, 2018 – Do you tend to skip pipette tests because you think they're difficult to perform? If so, then this SOP is for you. Let us show you how easy it is! All you need is a balance, a vessel, or even better - an evaporation trap, some deionized water and our free SOP. Are you planning an important experiment? Do you need to ensure that the pipette used measures correctly? As we all well know, pipettes get dropped and parts wear out. It's important therefore to verify the performance of your pipette by doing a gravimetrical quick check on your laboratory balance. 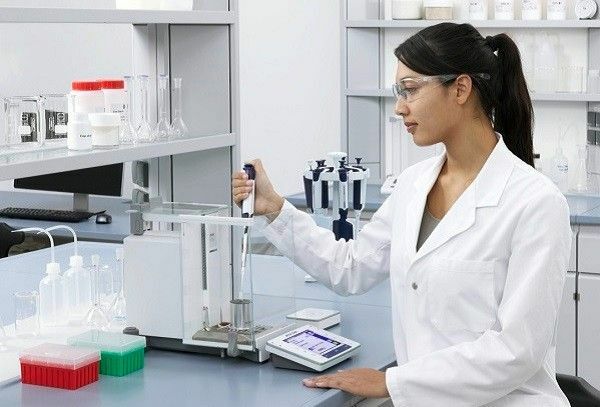 Reduce pipetting risk and perform regular quick checks to uncover any malfunctions early and eliminate surprises at your next calibration service. New Standard Operating Procedure (SOP) on how to quickly check pipettes. How do you perform the easy and straightforward pipette test? Follow the step-by-step guidance in the free standard operating procedure. This SOP describes the procedure for performing regular pipette quick checks on a laboratory balance and is designed to instruct laboratory personnel on how to proceed for thorough pipette testing of a balance. It's based on the specifications of ISO 8655-6 regarding gravimetric testing and provides instructions regarding the calculation of the mean volume, accuracy (mean error) and precision (standard deviation). The absolute and relative maximum permissible errors depending on the volume according to ISO 8655-2 are also listed. Quickly uncover any malfunctions and remove failing pipettes from your routine laboratory work. Eliminate inaccuracies that would otherwise go undetected until your next service calibration. For Word file and Images please contact us.